You can now order online and pick up in the shop. Some time around June 29, Honest Biscuits is moving to a new home. Biscuit Sandwiches Delivered straight to your door! We are excited to have partnered with Postmates to provide delivery right to you in the Seattle area. People have been asking us to sell t-shirts for years, and now we do. Our Pike Place Market biscuit shop is now open! Come visit us and enjoy a delicious biscuit! We are looking for mature, honest, reliable, hard-working people who want to grow with us. We've got exciting news to share! Enjoy a 12th Man Biscuit while watching your favorite team. While we have been selling our biscuit mixes (both regular and gluten-free), we recently updated the packaging in time for holiday gift giving. Enjoy some delicious fluffy biscuits this holiday. We have scheduled a bunch of upcoming biscuit workshops down at the Atrium Kitchen. We are now at farmers markets seven days per week. Starting a week from today, we will have a busy market schedule. Honest Biscuits will be closed for Easter and a wedding. Art will be hosting Honest Biscuits baking classes. Now you can order Honest Biscuits online. Because St. Patrick's Day is almost here. That means that we are now making and selling the Kilt Biscuit again. We are as excited as everyone else in Seattle about the Seahawks playoff run. We have lots of scrumptious flavors, both sweet and savory, to add to your holiday soirees, office parties, or family gatherings. Check out some great art and grab a biscuit. Head on out to your neighborhood farmers markets while you still can. Sorry that this event was canceled, but it was beyond our control. Come find us at the Northwest Folklife Festival! We now sell gluten free biscuits filled with chunks of Beecher's Flagship Cheese. We came up with a recipe for Gluten Free Biscuits that we could be proud to call Honest Biscuits! For long time fans, you may remember from last year two special biscuits that are now part of the line-up. We now have a storefront on Zaarly.com, a website to buy goods and services from local people. We are often inspired by the farmers markets where we sell. Speaking of seasons, we are reaching the end of farmers market season. You can now order Honest Biscuits anytime you want, 24 hours a day, seven days per week. We are excited to be a part of Urban Craft Uprising next weekend at the Exhibition Hall at Seattle Center. We present the Great Pumpkin. We are still testing our online store. We were inspired by the flavors of fall in creating our latest crop of specials. We have introduced three new biscuits in the past week, and we are very excited about it. Honest Biscuits are being sold in a new part of town. We are now selling at the Renton Farmers Market. We will be back at the West Seattle Farmers Market this Sunday. We will be selling biscuits, including the new Strawberries and Cream. Look for us at the Columbia City Farmers Market. This weekend, we are excited to be participating in LoveFest! We are proud to be selling biscuits on Broadway during Gay Pride Day. We are out of the West Seattle Farmers Market until fall. Now you can buy Honest Biscuits all week long. 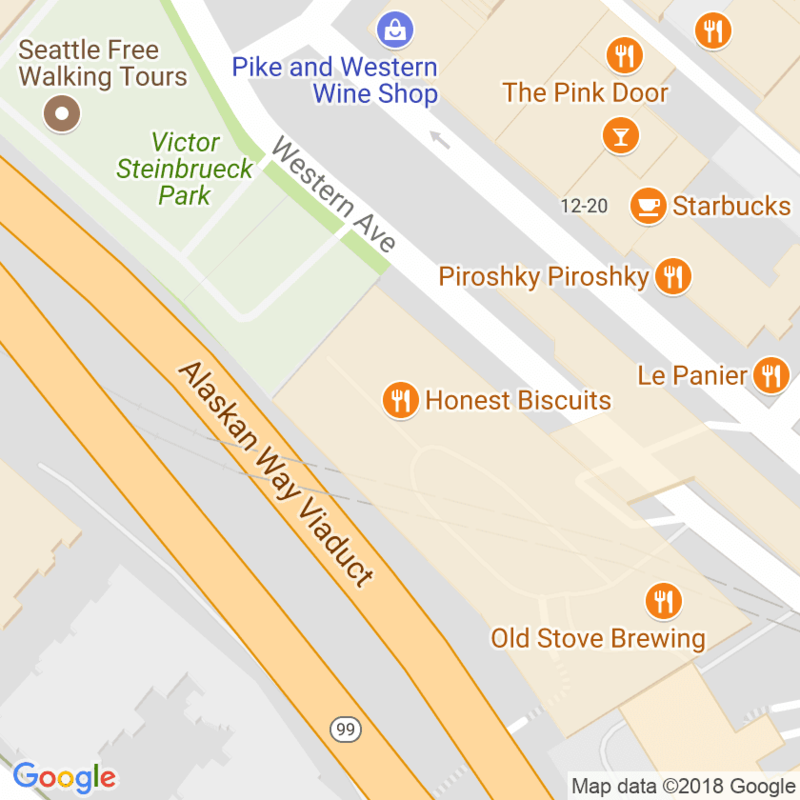 You can now buy Honest Biscuits at Bird on a Wire Espresso at Henderson and 35th in West Seattle. We have no idea who determines these things, but we will celebrate by working on the next special biscuit recipe. "Light, fluffy, Southern-style biscuits get a local twist." We are introducing a new special flavor this Sunday at the Broadway and West Seattle Markets. We had such a great time at the Arcade Lights event at Pike Place Market. We are returning to the Broadway Farmers Market this Sunday (April 22). The special flavor last week was a hit, selling out quickly. Sunday March 18 will be the last time that you can get a Kilt Biscuit. The Kilt: One of our biscuit's filled with Market House corned beef and Mt Townsend Creamery Off Kilter cheese. We feel so fortunate to be getting some attention in the blogosphere. We're starting to sell to the public at the Broadway Farmers Market. Things are starting to come together here at Honest Biscuits. From someone sampling our biscuits.